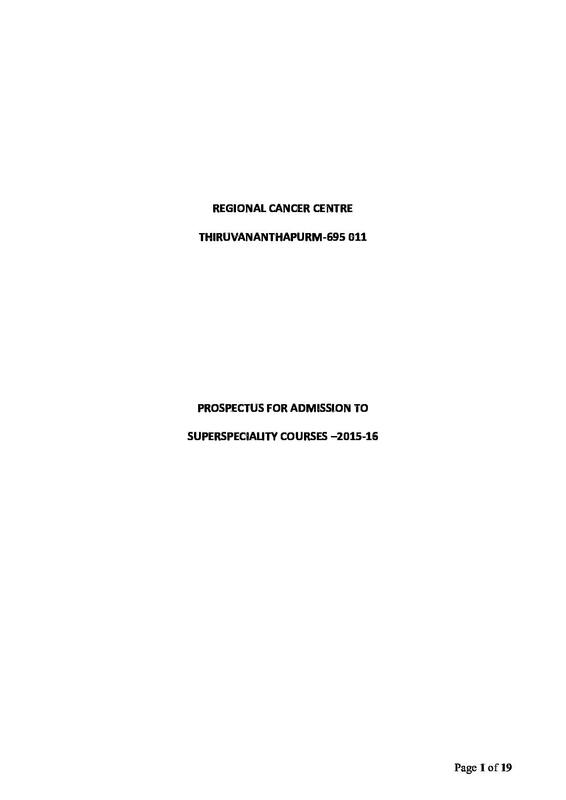 Regional Cancer Centre (RCC), Thiruvananthapuram was established in 1981. 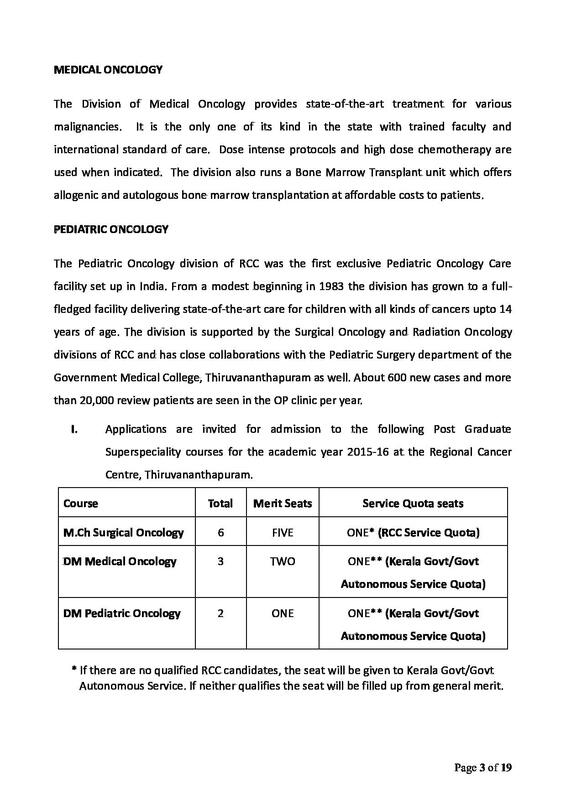 It is an autonomous scientific institution sponsored jointly by the Government of Kerala and the Government of India. 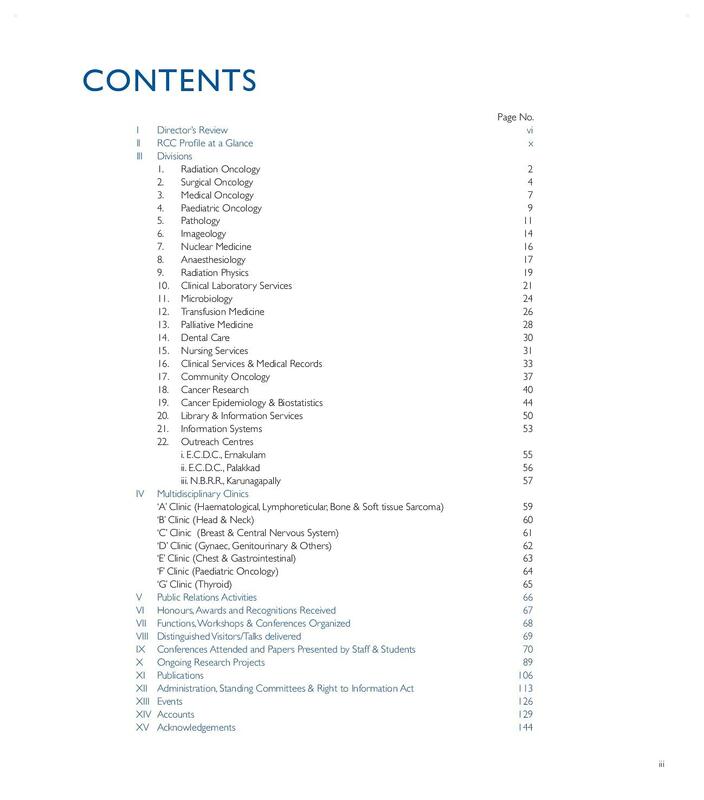 It is registered under Travancore Cochin Literary Scientific and Charitable Societies Registration Act 1955 vide No. 567/81. 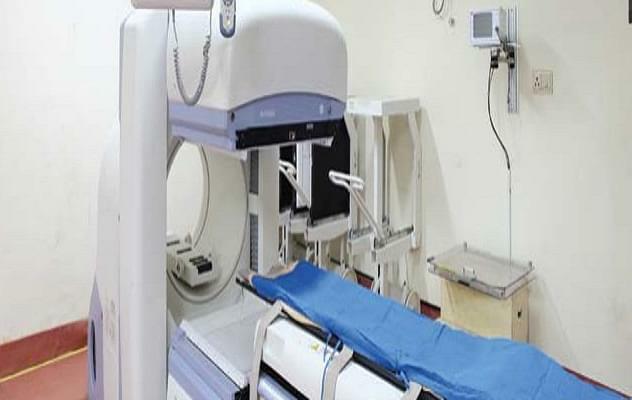 RCC deliver highest quality cancer care at affordable cost. 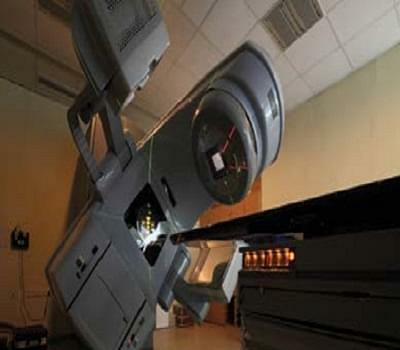 It had already provided specialized cancer care to 2,08,926 patients. 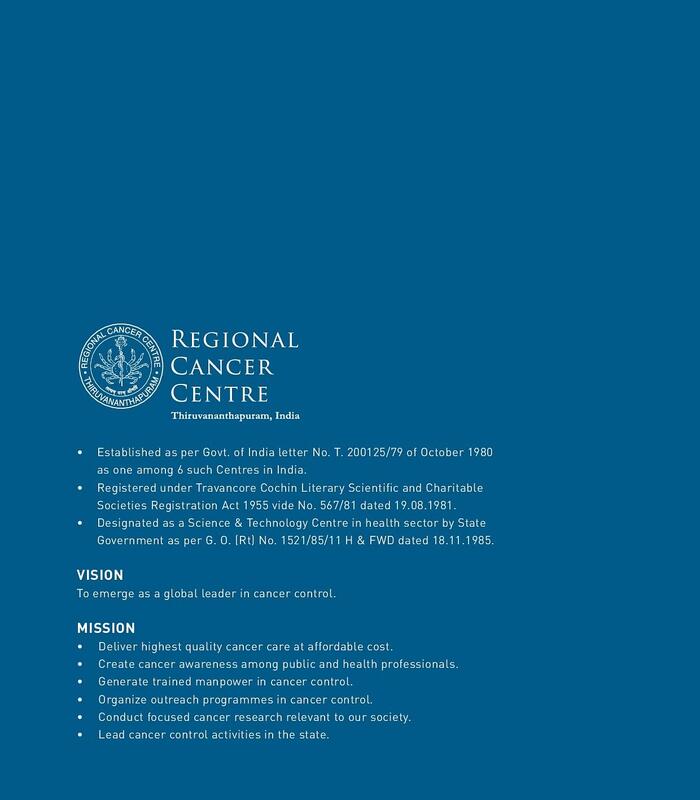 It receives financial support from the Indian Cancer Society. 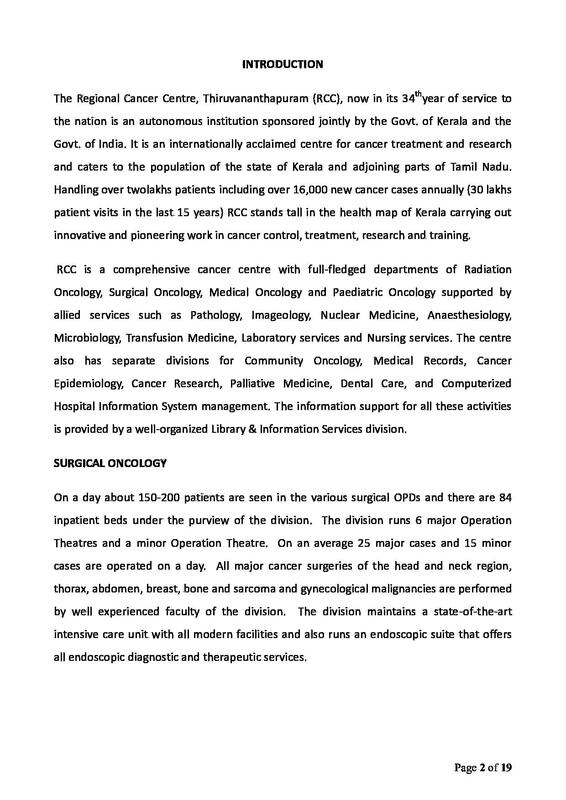 RCC organized 155 cancer awareness programs and 259 cancer detection programs throughout the State. It offers superspeciality, postgraduate, post-doctoral, fellowship, graduate and diploma level academic programmes. 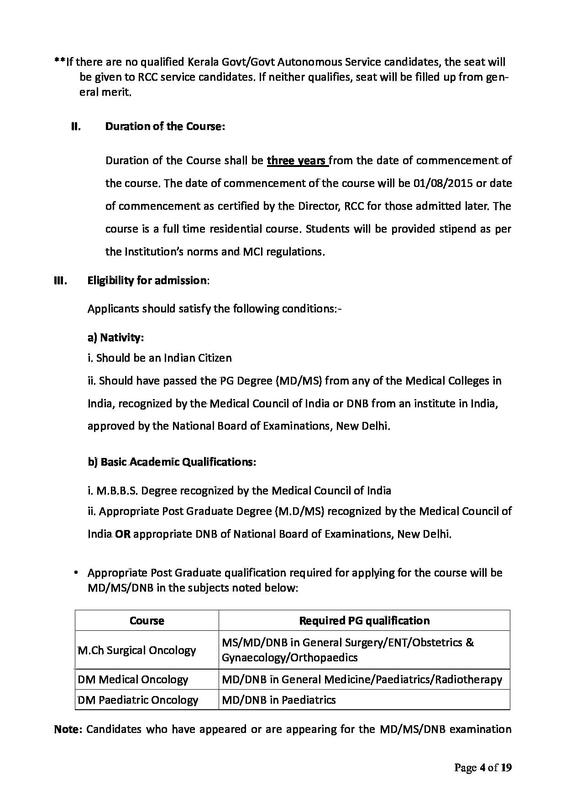 RCC are recognized by Indian Council of Medical Research (ICMR) and Medical Council of India (MCI). 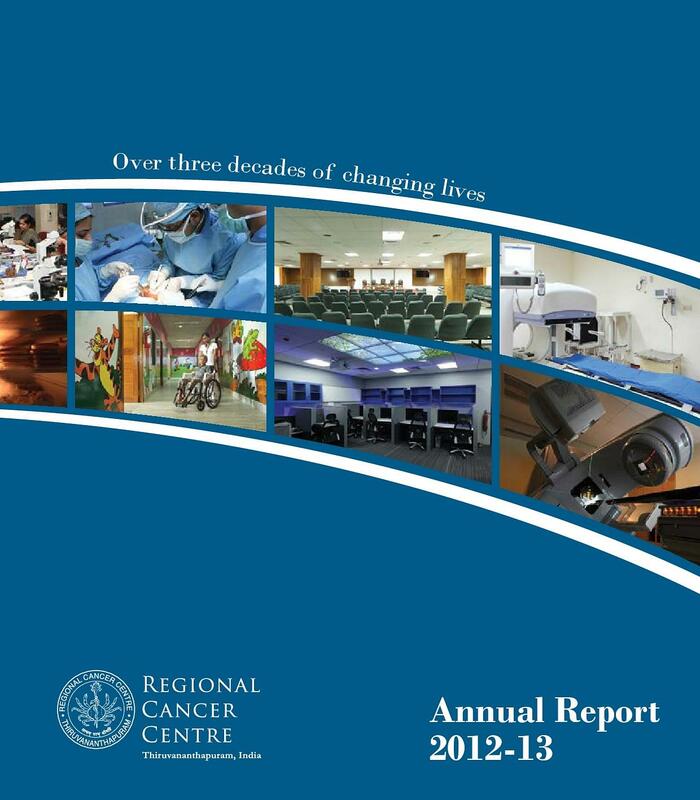 Every year RCC produce trained manpower in cancer control. 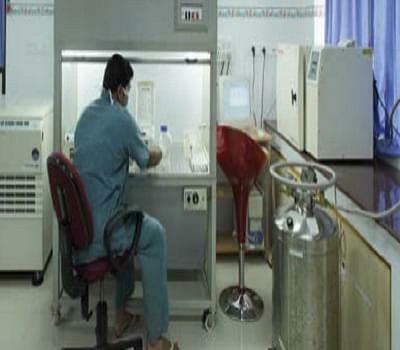 In 2007 RCC becomes the first cancer centre to manufacture morphine capsules. 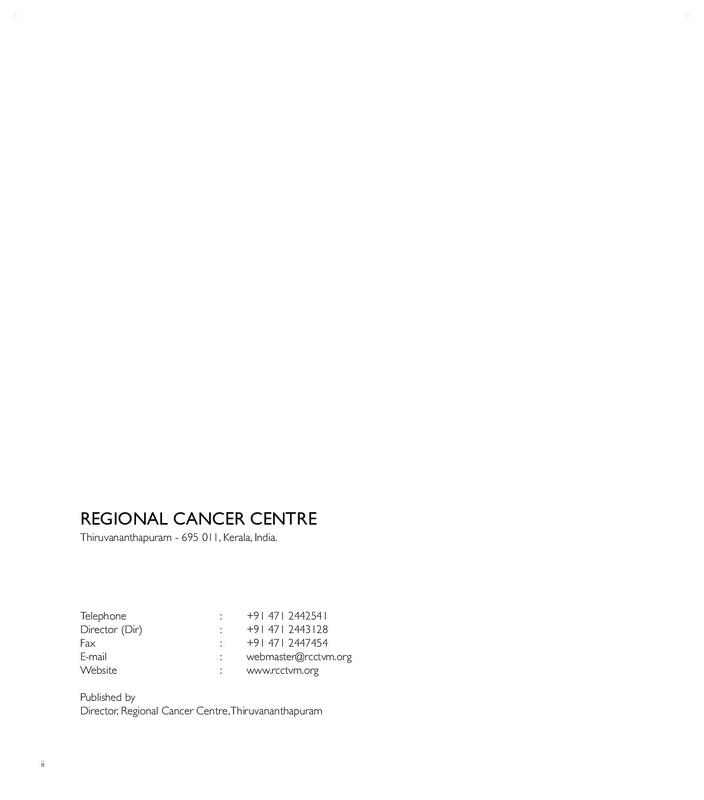 RCC provides support to patients’ and families through various schemes like government schemes, Cancer Care for Life (CCL) Scheme, Free Food (‘Akshayapathram’), Free Drug Bank and Support for Paediatric patient’s schemes. It also provide separate accommodation for girls and boys with all modern facilities. In order to enhance the practical and theoretical knowledge and skills RCC organizes seminars, journal clubs, workshops, case discussions sessions and training in every year for all departments.